After the First World War, the Metropolitan Asylums Board began expanding their provision for the care of tuberculosis (TB) cases with the acquisition in 1919 of the Pinewood Sanatorium in Berkshire. Later the same year they purchased the Hendon Institution from the City of Westminster Union which reopened in January 1920 as the Colindale Hospital for advanced TB cases. 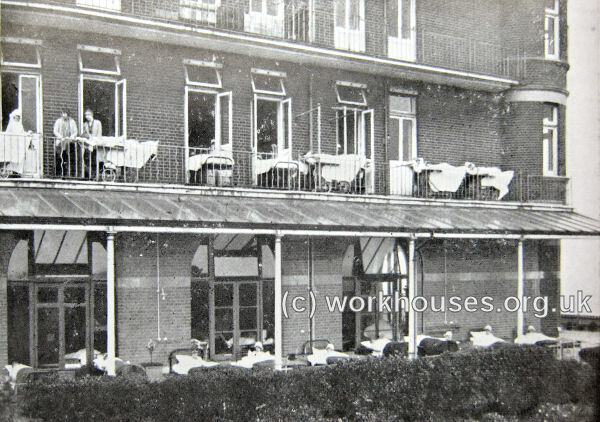 Then, in 1921, they took over the Empire Hotel in Lowestoft which had opened in June 1900. The sea-front building stood 60 feet above sea-level and occupied a 3.25-acre site, with a large public park on one side, and roads on the two others separating it from private residences. Its exposed position offered bracing sea-air and sun-treatment with relatively moderate temperature extremes. The hotel's large ground-floor reception rooms were simple to convert to wards, recreation rooms and mess-rooms with little structural alteration. A completely new heating and lighting system was installed throughout and sanitary accommodation improved. 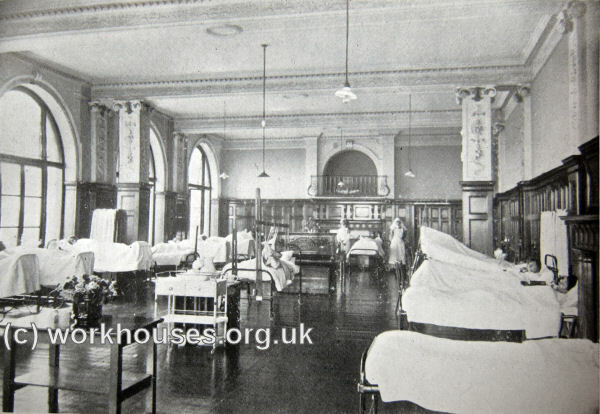 The converted building began operation on 9th May 1922 as St Luke's Hospital and providing 200 beds for adult surgical TB cases. Of these, around two thirds were confined to bed, the remainder being in various stages of convalescence. Cases from beyond the local region were conveyed to Lowestoft by train in a special invalid saloon accompanied by a nurse. 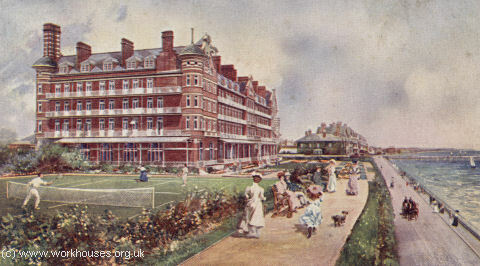 St Luke's Hospital site, Lowestoft, c.1926. 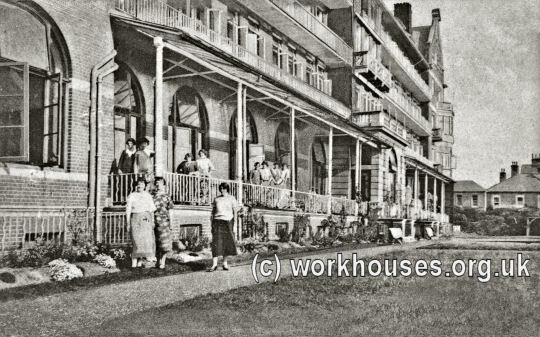 One particular feature of the conversion was the use of the former hotel balconies as airing verandahs for convalescing patients. 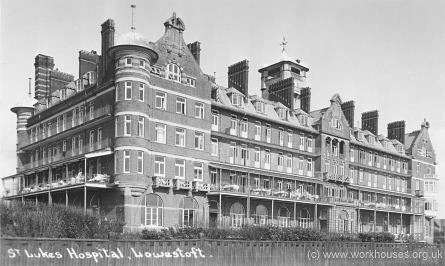 St Luke's Hospital, Lowestoft, demale ward, c.1925. St Luke's Hospital, Lowestoft, sun-lamp treatment, c.1925. The hospital closed in around 1955. The building no longer exists. London Metropolitan Archives, 40 Northampton Road, London EC1R OHB. Holdings include general and administrative papers. No patient records are thought to survive.